In an earlier post I mentioned the appalling events that took place at Winterbourne View Hospital, a private establishment owned by Castlebeck. There have been some excellent blogs written about the scandal since it broke on a Panorama programme last week. These have mainly been from the perspective of liberty. For example This ‘Fighting monsters’ blog or this one from Lucy Series at ‘The small places’. Of course this is important. In fact it’s vital that those of us who work in health and social care understand and respect the right to liberty. However there’s another, equally important principle to consider here. The idea that there can be no punishment without law. Welcome to Article 7 of the European Convention on Human Rights. According to Article 7 people have the right not to be convicted of a crime that was not an offence at the time they committed it. They also have the right not to be given a harsher sentence than the maximum allowed at the time of the offence. This seems eminently fair and reasonable and few people object to it – at least in theory. It’s when we start to look at the wider implications that things become interesting – especially in health and social care. The Panorama footage from Winterbourne View leaves no room for doubt that staff were taking it upon themselves to ‘teach residents a lesson’ whenever their behaviour didn’t meet expectations. At least it leaves no doubt in my mind but of course, I’m not the court. This apparent abuse is all the more poignant when we learn that the expected behaviours involved passive acceptance of mistreatment and that the punishments meted out to them were torture by any definition. There is no law that allows care workers to punish anyone. That’s not what our work is about. If a criminal offence has been committed then we have a legal system designed to deal with it. A legal system that abides by the laws of the land and that understands proportionate punishment – not using a hammer to crack a nut. Winterbourne View staff wrestling someone to the ground because they ‘looked at them’ is neither lawful nor proportionate. It’s a punishment meted out by someone with no right to decide upon guilt and penalty in the first place. That really is punishment without law. Throwing cold water over residents, pinning them to the floor with chairs or standing on their hands is equally indefensible. The simple truth is that only the courts can condemn and only the courts can punish. Private citizens are not authorised to take the law into their own hands, especially if they are in charge of vulnerable people. But this principle goes much further than Winterbourne View. One of the most common misunderstandings I come across when delivering training on challenging behaviour work is the belief that behavioural regimes involve punishment. They do not. Punishment is both illegal and unethical. It’s abuse. A more obvious example of Article 7 at work is in the field of ‘hate politics’. From animal rights campaigners to religious fundamentalists there are always individuals ready to hurt those with whom they disagree. They see a difference of opinion, of race or of religion as an offence worthy of punishment and sometimes they take the law into their own hands. 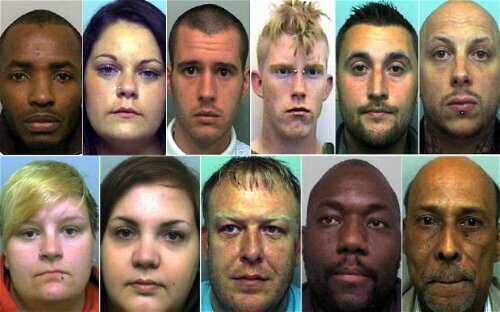 Currently the UK group most often prosecuted for condemning and punishing others is the English Defence League whose members, ironically enough, regularly ‘defend’ England by attacking and harassing English citizens. It is ironic that the ECHR not only prevents groups like the EDL from getting their way but also ensures that the Islamic ‘Sharia’ Law they fear so much could never hold sway in Europe. If EDL members would only stop and think for a moment they’d see that the very convention they oppose so vehemently protects them from the thing they fear the most. It really is true that the more people know about the ECHR the more they appreciate it and the positive impact it has for us all.